This page serves and an archive for old news. More recent news can be found at the News forums, where you can also comment on them. 31.05.2012 - Site renewal & transferral to Wikidot started. Welcome aboard. 2012/01/01 - Happy new year everyone! Let's all hope for another magnificent year for Chrysalis. In other news, as any KotC player would have heard the service is closing down on Feb 29th. We'll be removing KotC links from within the wiki, but the pages and the data on common pages will still exist, at least for now. 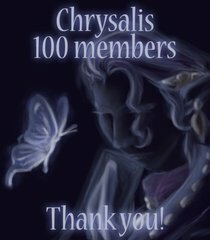 2011/09/01 - As Chrysalis has gained some popularity recently it proved the need to change the URL to reflect the wiki's not-so-new-anymore name. Welcome to Chrysalis, we'll be around for a while still. Please change your bookmarks and links to reflect the new URL! The old one will redirect to Chrysalis for 30 days from today, ending September 30th. 2011/07/12 - Happy belated 4th birthday to Chrysalis, seems that I forgot again. :) It's set out to be a good year for Chrys with our membership steadily rising and quite a few info sections nearing completion. The emphasis has been on Knights of the Crystals lately (you all sure love your KotC don't you), although rest assured that the other games haven't been forgotten, more content is under works all the time. 2011/05/02 - Some new sections have been added under Others, mainly concerning various FF merchandise. These include the new FF Trading Card Game, complete with card (and soon rule) translations. 2011/01/24 - Hi everyone, long time no see. This time I advertise the almost-completion of Knights of the Crystals section, as well as various tidbits of pretty much everything…maybe one day we'll finish an entire section, how's that! 2010/05/02 - For once (almost) on time, our FF13 section now has quite a bit of content, thank you to contributors. Other recent additions include many more FF11 pages, with more to come. 2010/02/05 - Long time no update notice. If you haven't been looking around lately, try taking a peek at Ring of Fates or Echoes of Time character pages, or much any other page for those two games. FF11 section also has gone through some major updating, check it out. 2009/06/01 - Slightly ahead of schedule, our semi-frequent bigger updates are back. Thanks for waiting, please support the site in the future too. 2009/05/07 - As some of our more frequent visitors might have noticed, our semi-regular updates have been on hold since March. This will continue until mid-June. However, smaller updates have continued and will continue all this time. Enjoy your visit! 2009/01/23 - The equipment pages will experience several days of confusion in the process of correcting them. Apologies for any inconvenience caused. In the future you can find each item on their own page. 2009/01/12 - A hopefully long-awaited (better late than never?) section Miscellaneous at waff has been added. More content to the section coming soon. 2008/11/30 - Wiki creator has been busy with FF11 recently, please forgive. ;D Commenting on pages should now be enabled for guests. Major updates coming during December. 2008/07/25 - Welcome to slightly-older-than-a-year waff! Thank you for all the contributors, please look forward to new developments of the site during the next year, too. 2008/04/24 - A great many pages have been renamed to more human-friendly ones. We apologize for any inconvenience.